Well planned: An artist impression of the Bukit Dumbar Residences project. The Belleview Group will showcase the RM65mil Bukit Dumar Residences, comprising 62 units of terraced and semi-detached units for the forthcoming Star Property Fair. Belleview Group managing director Datuk Sonny Ho said the units have two covered car porches, an impressive dining area with a large expanse of glass to bring in natural lighting, a spacious master suite, and balconies for occupants to enjoy the panoramic view of the Penang Bridge. The units also has spacious family areas, walk-in closets, and separate dry and wet kitchens, Ho said. The other property that would also be showcased at the Star Property Fair include the Palmyra Residences in Balik Pulau, the RM400mil Melody Homes, All Seasons Park and All Seasons Place projects in Air Itam, and the 1st Avenue shopping mall, a joint venture project. “The Palmyra Residences comprise 227 units of landed property, while the Melody Homes, All Seasons Park, and All Seasons Place projects in Air Itam comprise 1,300 units of high-rise property. We will also construct a 250,000sq ft commercial complexes for the Melody Homes, All Season Park, and All Seasons Place projects. “The three residential schemes and the commercial complex in Air Itam will take about five years to complete,” Ho added. Ho said the 1st Avenue shopping mall, with a built-up area of 900,000sq ft, was scheduled for completion in the third quarter of 2010. The Star Property Fair 2009, organised by The Star in collaboration with Henry Butcher Malaysia and supported by The Expat Group, will feature the creme de la creme of property and will take place at the G Hotel on Sept 11, 12 and 13. A ‘lifestyle’ section has also been introduced as an extension of the fair at the Gurney Plaza where visitors would find a varied selection of home improvement products and offerings with the aim of converting a property into a dream home. Property developer Hua Yang Bhd plans to build a township in Kulaijaya Johor, with a gross development value of RM350 million, to expand. It recently bought 56.3ha freehold land in Johor for RM35.15 million. Located on both sides of the Skudai Pontian highway, the parcel of land is 1km away from Hua Yang's RM1.2 billion mixed development, Taman Pulai Indah. The acquisition is Hua Yang's second land deal for the year. It sold a plot of land in Perak to Tesco for RM3.23 million earlier this year. Developed in 2001, Taman Pulai Indah spans 193ha and is Hua Yang's flagship development in Johor. "With the ongoing Iskandar Malaysia project, we foresee positive take-up in the surrounding areas such as the Skudai-Gelang Patah Corridor, which is shaping up to be the next development area. "Having operated in Johor for the past eight years, we are positive that our newly acquired land is in a good location, considering that there is a ready catchment of buyers and an existing development just 1km away," Hua Yang chief operating officer Ho Wen Yan said. The new project will likely be a mixed development comprising commercial units, double-storey terrace houses, cluster homes, semi-detached and bungalow units retailing from RM220,000 onwards. "Keeping to our philosophy of affordable quality homes for the people, we will continue to ensure that the new project meets community needs. 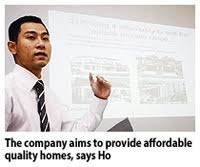 Hence, even as we embark on the mid-high-end segment in Johor, the pricing is likely to remain competitive," Ho said. Hua Yang is confident that the project will do well despite the economic slowdown. "We have seen from the performance of our other projects in Johor as well as Symphony Heights in Selayang, Selangor, that buyers are still looking for value-for-money offerings, and expect our latest development to fall within this niche." Construction is slated to begin 15 months from completion of the sales agreement, with Hua Yang investing heavily in facilities and amenities worth up to RM20 million. Muslim fund manager Tabung Haji is looking to invest in properties in Europe to expand its scope of investments. Its chief executive officer Datuk Ismee Ismail said London was one of the locations the company was looking at. "To date, we've invested RM2.3 billion on properties, both locally and overseas, which is 20 per cent of our total fund size. "Right now our foreign properties are located in Mecca and Madinah but we're currently surveying investment opportunities in Europe," he told reporters in Johor Baru yesterday. Another plan on the cards is a Tabung Haji scholarship for higher education in Islamic studies in a local or foreign institution. Ismee said the proposal was still at a planning stage. "We hope to launch the scholarship next year after we decide on the amount and the number of students to be sponsored." He said the fund's deposit base has been increasing steadily over the past six years by as much as RM1.2 billion annually. This year, Tabung Haji funds stand at RM23 billion, compared to RM16 billion in 2006. "Not only has the amount deposited gone up over the years, the number of depositors has also risen. "Last year, we had 4.5 million depositors. Now, the figure is 4.7 million people," Ismee said. In 2008, depositors enjoyed a five per cent dividend rate, a return which Ismee said the company would try to repeat for 2009. Earlier, Ismee and Johor religious adviser Datuk Nooh Gadut handed out aid to 580 underprivileged and elderly folk at the Tabung Haji office in Johor Baru. A total of RM290,000 was allocated to the Johor branch for the aid, which was in the form of food hampers and cash contributions. 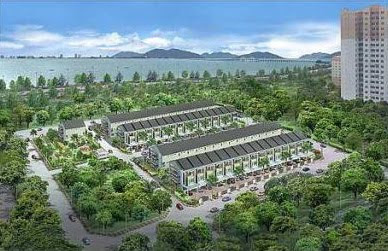 A RM10,000 grant for first-time buyers of affordable homes is being proposed by Penang property players to the government for consideration in Budget 2010. Real Estate and Housing Developers' Association, Penang Chapter (Rehda Penang) chairman Datuk Jerry Chan said the grant can be considered for properties which fall below a certain price range. "The hard-core poor can also be helped in owning houses via the setting up of a revolving fund," he told Business Times. He said the fund can be tapped by those who qualify to pay nominal rental on properties which can later be converted as payment for the said houses. Chan said these proposals would be incorporated into a master-list of requests which the national-level Rehda will submit to the federal government. The Penang chapter of the association is made up of some 70 over property players, some of whom are the country's top developers. Chan said also on Rehda Penang's wish list for Budget 2010 is a request for the waiver of stamp duty. "We are also asking the federal government to consider taking over the provision of low-cost housing," he added, saying that just like healthcare and education, the provision of housing for the poor should also be assumed by the government. "The private sector," Chan noted, "should not be asked to build low-cost housing and this social responsibility should be taken over by the government." "This move will now allow for a different pricing structure which will fill the gap between very expensive landed property, very expensive super condominiums and low-medium cost accomodation." The Penang government two weeks ago announced the plot ratio revision during a Rehda Penang event. Chan said that previously, a ratio of less than 1.0 time was applied (to medium-cost housing of between 700 and 1,400 sq feet) will now be revised to 2.8 times for certain areas. This will place Penang on par with Singapore where a 2.8-time plot ratio policy applies. In the Klang Valley the plot ratio for certain high-rises stands at between 4 and 6 times, while the Kuala Lumpur City Centre boasts a plot ratio in excess of 6 times. Chan said the request to review the outdated policy was made by Rehda Penang earlier this year, and the association is now awaiting official notification from the state government. On whether the revision of plot ratios would also apply to landed property, Chan said the state is willing to consider the removal of backlanes for terrace-houses (which sometimes make up 15 per cent of the total build-up area) on a case-by-case basis. Bina Puri Construction Sdn Bhd, a wholly-owned subsidiary of Bina Puri Holdings Bhd, has been awarded a RM36.6 million substructure project in Kota Kinabalu, Sabah. The award from Sunsea Development Sdn Bhd is for the construction and completion of earthworks, piling works, pile caps, basement slab and basement retaining wall for a proposed commercial development in Kota Kinabalu, Sabah. The substructure works are part of the Kota Kinabalu City Waterfront (KKCW) development and construction is expected to be completed within nine months, the holding company said in a statement today. KKCW which had its groundbreaking in February, is a mixed commercial development comprising four-levels of retail mall, residential designer suites and a five-star international hotel, all to be built on a 1.248 hectare of sea frontage land. The project is a joint venture between DBKK Holdings Sdn Bhd and Sunsea Development Sdn Bhd, a subsidiary company of Waterfront Urban Development Sdn Bhd, the statement added. With the above award, Bina Puri group’s current book order stands at RM2.32 billion, having managed to secure new projects of up to RM1.15 billion so far in 2009. It will continue bidding for new projects, both locally and internationally and is confident of securing new projects before year-end. Meanwhile, Bina Puri Construction's on-going projects in Sabah, include the construction and completion of “Dewan Kuliah Pusat Ke-2” and “Pusat Pasca Siswazah for Universiti Malaysia Sabah (UMS), Kota Kinabalu, Sabah and a housing development at Sayang Buang, Papar. It had completed projects valued about RM1.5 billion in Sabah which includes, the 38-km of Kota Kinabalu Sulaman Coastal Road, Institute Latihan Perindustrian Sabah, Wisma PERKESO, Road from Jalan Sipitang to Tenom and Jesselton Condominium. Diversified AMDB Bhd expects to complete its transformation into a focused entity specialising in property, engineering and infrastructure operations before the end of the month. Its chief executive officer Ben Lee Keen Pong said upon completion, the group will emerge as a financially stronger entity with a cleaner balance sheet, larger asset base and increased earnings visibility. "We are close to finalise the divestment of non-core assets - namely the Seri Melayu Restaurant operations, Harper Travel and Tours as well as our stake in advertising agency J. Walter Thompson Sdn Bhd - to our parent, Amcorp Group Bhd, for RM22.1 million," he said. In strengthening its position in the property sector, AMDB has bought four property development companies from Amcorp via a debt-to-equity swap. Lee said the group paid RM159.72 million in cash and new shares for its interest in Amcorp Prima Realty Sdn Bhd, Regal Genius Sdn Bhd and Distrepark Sdn Bhd. As for a 60 per cent stake in the HDC-Amcorp joint venture, AMDB paid RM20.99 million. "The acquisitions will enable us to further expand our property segment and involve in the acquisition of ongoing projects namely the 75.2ha bungalow enclave Kayangan Heights in Shah Alam, Selangor, and the 285ha Sibu Jaya township in Sabah," he said, noting that the company currently has an order book valued over RM1 billion. Last May, shareholders approved the company's three-pronged business reorganisation strategy involving a capital reconstruction, sale of certain non-core businesses and the purchase of land. Lee said the move will help AMDB write off its accumulated losses of RM356.55 million and allow the group to expand its property development business, one of its main drivers aside from engineering and infrastructure work. AMDB's revenue for the year to March 31 2009 fell 45 per cent to RM206.8 million from a year ago. This was due to the sale of a development land in Pulau Indah, Selangor, worth RM130 million and lower volume in the property, engineering and infrastructure divisions. Despite that, AMDB managed to return to a RM18.5 million profit from a loss of RM14.2 million previously, thanks to the gains from the RM18.3 million sale of Sebana Group. AMDB's gearing is also lower at 0.19 times from 0.49 times before due to the net proceeds of the Sebana sale and the fact that it doesn't have to account for Sebana's borrowings. "With lower gearing, the group's finance costs during the financial year were lower at RM10.4 million compared with RM18.2 million before," he said. KUALA LUMPUR: The Halal Industry Development Corporation (HDC) has targeted to attract RM500 million in foreign direct investment (FDI) into the Halal Parks located across the country by next year, said its vice president of industry development, Nicholas Shariff Collins. "The HDC is currently in talks with some foreign parties, particularly multinational corporations, who have shown a keen interest in investing in the Halal Parks. "A few will in fact be setting up shop soon," he told a press conference here today. According to Collins, two major companies, F&N and Concept Amenities from Australia, have confirmed commencing operations by the year end. To date, five Halal Parks are already in operation in the country. They are the Halal Park in the Port Klang Free Zone, the Selangor Halal Hub ( Pulau Indah), Pedas Halal Park, Serkam Halal Food Park and the Tanjung Manis Halal Hub. The Sungai Petani Halal Food Park and Pengkalan Chepa Halal Park are expected to start operations by end of this year.